NWS Channel Nine. 1963. Producer: Marlene Dyke. Music Director: Ray Brown. 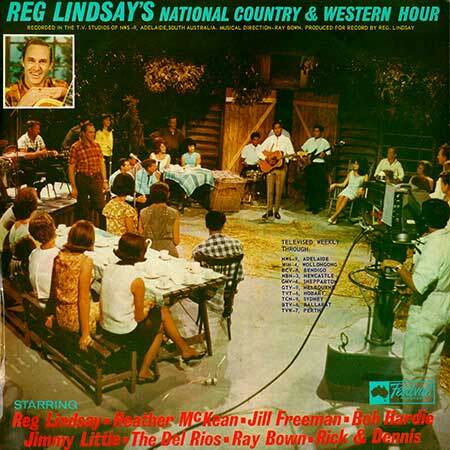 “REG LINDSAY’S NATIONAL COUNTRY AND WESTERN HOUR”. Produced for record by Reg Lindsay. Life Is A Poor Boy. (2:27). (T. Coleman). (Albert). v: Jill Freeman. Blackboard Of My Heart. (2:40). (Gaston - Thompson). (Aberbach). v: Jimmy Little. I Heard The Bluebird Sing. (2:29). (Pharis). (Southern). v: Rick, Dennis. Wild Side Of Life. (2:00). (Warren - Carter). (Albert). v: Ray Brown. (Hunter). (Tu-Con). v: R. Lindsay, H. McKean. I’d Like To Be. (1:55). (Ashley). (Palace). v: Jimmy Little. You Don’t Find A Good Man Every Day. (1:41). (Howard). (Control). v: Heather McKean. (Reg Lindsay). (Greenfields). v: Reg Lindsay. (Rose - Honeywildes - Biggs). (Acuff-Rose). v: Bob Hardie. (Reg Lindsay). (Greensfields). v: Reg Lindsay. LP (OP)	Festival. SFL-932,467. 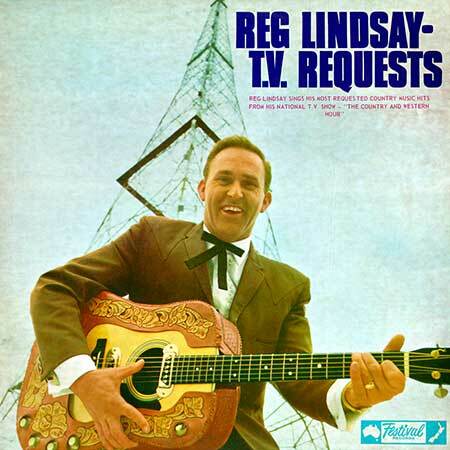 “REG LINDSAY - T.V. REQUESTS”. Send Me The Pillow You Dream On. (2:23). I’m A Fool To Care. (2:00). It Keeps Right On A Hurtin’. (2:23). Too Late To Worry - Too Blue To Cry. (2:10).